The fine old Hanseatic red-brick town of Rostock and its neighboring seaside resort, Warnemunde, are best known as the jumping-off points for Berlin, which is three to five hours away by train (so make sure you have adequate time in port before embarking on a journey to the German capital). Many cruise passengers head straight for Berlin. But if you've been there before, or if you live in Europe and Berlin is an easy weekend break for you, take time instead to explore Rostock and Warnemunde instead. These fascinating places offer traditional architecture and long-standing maritime traditions. Warnemunde -- the mouth of the river Warnow -- gets most of the attention, despite being a tiny suburb of Rostock. With a population of 35,000 compared with Rostock's 200,000, Warnemunde is an operational fishing port and an attractive seaside resort with vast dunes and sweeping stretches of sand on each side of the river's mouth. You'll see rows of ancient, timber-framed houses, sleepy squares, modern hotels with spas and boats galore. Ice cream stalls and hundreds of screeching seagulls complete the seaside feel. 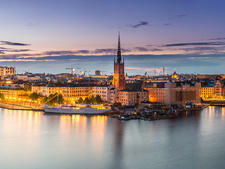 Summer is regatta season, and -- in addition to the constant buzz of ferries coming from and going to Denmark, Finland and Sweden -- hundreds of sailing boats may be on the water at any one time. 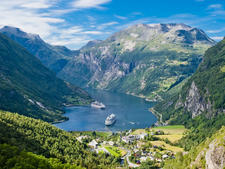 The season peaks with Warnemunde Week each July, when 2,000 sailors gather for seven days of yacht races and nighttime parties. Medieval Rostock appears even smaller thanks to miles of undulating countryside and forest around the town. The city's merchants made a fast buck on beer and fish exports in the 12th century and -- to facilitate trade and protect their powerful fleet -- were instrumental in the formation of the Hanseatic League, a famous union of rich trading towns in northern Germany. The city later became famous for aircraft manufacture; the Heinkel factory was located at Warnemunde and produced airplanes for the Luftwaffe in the 1930s. Although some of the city's magnificent, old buildings were destroyed in World War II, you can still see grand marketplaces, bridges, city ramparts and gates. Even newer buildings are designed in the traditional style of red brick and stepped gables. The skyline is dominated by three massive churches, including St. Peter's, which used to be one of the tallest buildings in the world. Rostock has the distinction of being northern Germany's oldest university town and also has a top school for performing arts. Like many places in Germany, the city brews excellent beer, but its income today is mainly from cruise ship tourism and, to an extent, the manufacturing of ship parts. The lively pedestrian zone of Kropeliner Strasse is lined with shops, restaurants and bakeries and is fun to wander. From there, it's an easy walk to the Cultural History Museum (whose treasures include a splinter from the cross of Christ), Petrikirche (St. Peter's Church), with its observation tower, and Marienkirche (St. Mary's Church), built in 1230 and home to a famous astronomical clock. Rostock has a long-standing association with tall ships, and aficionados could time a cruise to coincide with the annual Hanse Sail Rostock in August, when 200 or so square-riggers and other classic sailing boats sail into port for four days of regattas, fireworks and markets. This event draws local sailors, who moor for the festivities, along with hundreds of thousands of visitors. Ships dock at both Rostock and Warnemunde. Warnemunde has two berths and is the most convenient to cruisers because you can walk from the terminal straight into town and to the beach. (Wheelchair users: Note that there is an underpass -- with steps and no lift -- under the railway.) 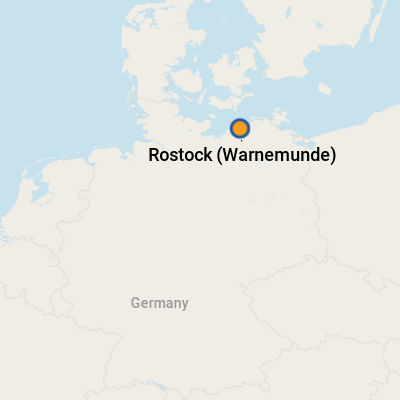 To get from Warnemunde to Rostock, simply take the train to Rostock Hbf (nine stops from the cruise port) and walk into town or take the tram (from the lower level of the station at Rostock) to Neuer Friedhof. Tickets and maps are available at the ticket station at Pier 7 at the port. Rostock port is farther up the river away from the town centers of both Rostock and Warnemunde. If your ship is not offering a shuttle to Warnemunde, take the No. 45 bus from the port to Luetten Klein, followed by a 10-minute train trip on the local S-Bahn to Warnemunde, or opt to travel the entire route via taxi for around 25 euros. Most ships docked in Rostock run shuttles into Rostock town center, a trip of about 10 minutes. Or take bus No. 49 into the city center. If you don't go on a tour to Berlin, into Rostock, or into town when docked at Warnemunde, check out Karl's at Pier 7, located at the cruise port. A converted onion warehouse, this rustic souvenir store is decorated with a maritime theme, including seashells, fishing nets and wooden boats. While there, stock up on sea-related knick-knacks and tasteful gifts, ranging from German sausage, wines and liquors to items made from orange Sanddorn berries -- a local specialty. Karl himself owns northern Germany's largest strawberry farm, and, in season, you can feast on the berries for a small fee -- or try the strawberry cakes. When more than one cruise ship is in port at Warnemunde, the Am Strom (the waterfront area immediately surrounding the port) can get crowded with tourists, so keep a close eye on children and personal belongings. On Foot: Walking is the best way to navigate Warnemunde and Rostock -- once you've arrived in the center by shuttle or taxi. By Car: Both cruise terminals have dial-up rental car systems. By Taxi: Taxis wait outside when a large ship is in port -- which happens during most summer days. By Bike: Bicycles can be hired from Holiday und Meer at Warnemunde Railway Station, and there are plenty of marked cycle trails. Buy a RostockCard for 12 euros (about $13.50) for public transport, entrance to some museums and reduced admission to others, discounts in stores and fixed prices in participating restaurants. Germany uses the euro. U.S. dollars are not accepted in stores, although most major credit cards are. 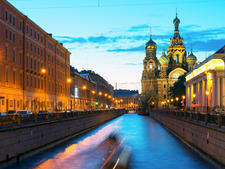 See www.xe.com or www.oanda.com for currency-exchange rates. You can find ATMs in Warnemunde center and in Rostock. In Warnemunde, take small denominations of euro notes if you plan to buy from street vendors and fried fish stalls, of which there are many. Banks are open 9 a.m. to 4 p.m. Monday through Friday. German is the official language. People involved in the tourist trade speak some English, but less so than in more established German tourist destinations. Old fishing boats line the left bank of the Warnow, selling fischbroetchen - fried fish sandwiches -- the local specialty. During the Hanseatic era, herring was an important trading commodity, and herring still rules as a favored nosh, typically fried and served on a roll. With some 2,000 kilometers of Baltic Sea coastline and more than 2,000 lakes, the fish couldn't be fresher. Try it fried, smoked, pickled or baked in Bierteig, a beer-based pastry. Bratwurst, breads and fruity jams round out a seaside picnic. Most restaurants are open daily, unless otherwise noted. Several restaurants offer German specialties. Look for gourmet food items made with orange Sanddorn (sea buckthorn) berries, grown locally.